Hannah: You had a party and you didn't invite me? I mean, this place is, like, at capacity. Shoshanna: Yeah, I did. Which would be strange, except you're having a baby, and you neglected to tell me after you literally told everyone else on the face of the earth. So, I guess that just kind of says who we are to each other. 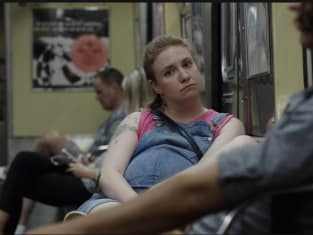 Girls Season 6 Episode 9: "Goodbye Tour"
I just don't understand why you would want to leave New York, okay? That's like something your family makes you do when you're too deep into crack to stop them. It's not something that a young, vibrant, albeit pregnant, person does. And I'd like to remind the three of you not to sleep on this friendship. Because I know it feels like it's just gonna be love and lust pushing you forward, but lust fades and friendship never does. If you nurture it.